Alice is showing us how to use Trello and a Bullet Journal to stay organized. She combines the best of digital and analog to achieve amazingly productive results! Thanks, Megan! In a world full of distractions, it’s no surprise that many of us love to use paper-based systems to organize our lives and unplug. 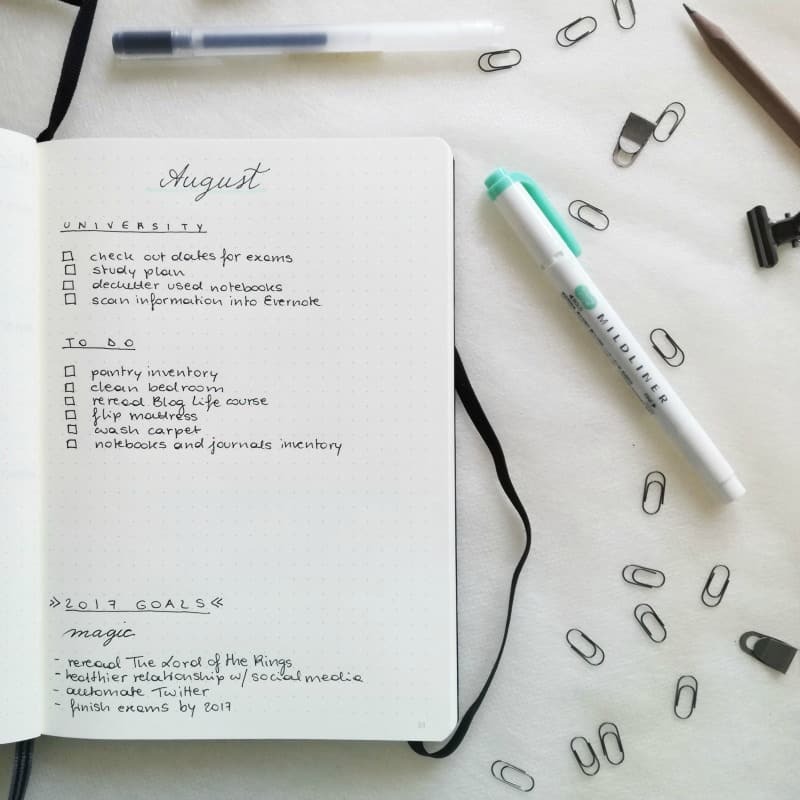 I have loved using diaries and calendars since elementary school, but after discovering project management apps to work with my team, I decided that a hybrid method could be the right solution to organize my life. I tried several different apps during the last couple of years, but nothing compares to Trello, in my opinion. Trello is an awesome project management app that is structured as boards (the projects), lists (the columns), and cards (the items on your list or tasks). It was originally created for team collaboration, but it’s great for working solo too. It’s visually pleasing and its mascot is a super cute husky named Taco! Here is my setup for the board I use the most: my Bullet Journal Companion. First of all, I have to mention that the flow of the projects goes from left to right, in fact, you can drag and drop cards wherever you want, positioning them at any point of the lists. At the beginning of the year, I took some time to pick a word for 2017 (magic, in my case) and to set up some personal and school-related goals. I added them to the first list of my board. 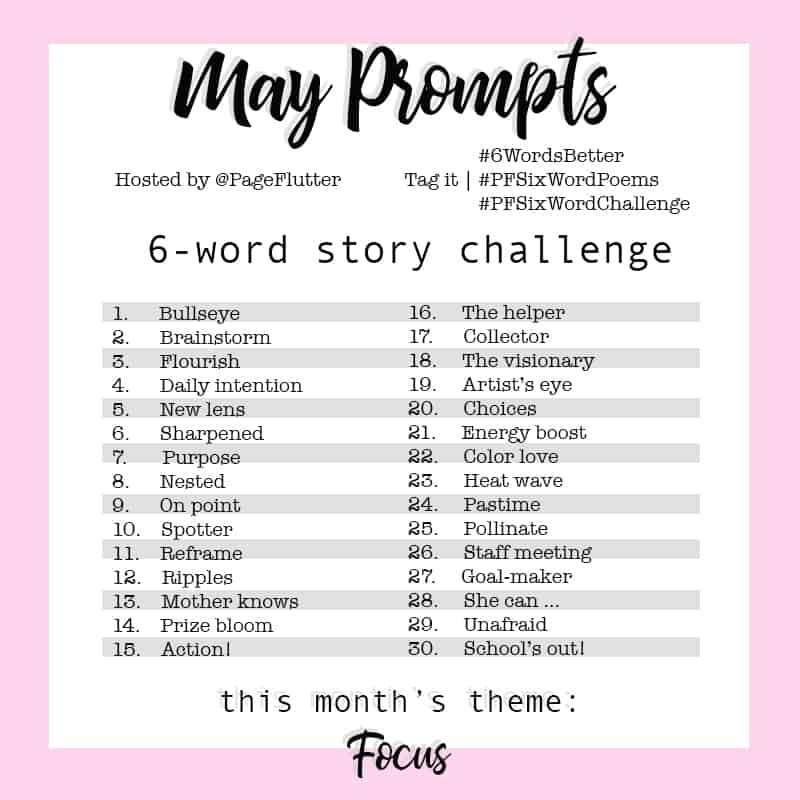 Then I created a list for each season/quarter of the year; I didn’t go month by month because I use my Bullet Journal® and my paper planner for more granular planning. In my lists, I added a mix of things to do and tasks related to my goals. After the quarters, I have lists for Next Month and This Month. This is where I move cards from previous months that didn’t get completed or the ones to do at certain times of the year, that I had already pre-planned. I like to have also a list for the immediate upcoming month because it makes me feel organized and ready to tackle it. To keep my plans easy to the eyes, I use labels to color code my tasks. 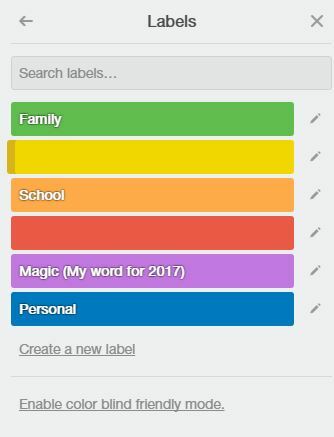 Another great thing about Trello is that you can add a description, checklists and attach files and links to each card. For example, in my Birthdays cards, I have a list of all the people who are going to celebrate their birthdays and a checklist for gift ideas. One of my goals for 2017 is to reread The Lord of the Rings, so I added a checklist with the title of the three books to check off along the year. Finally, with the free account, you can enable one Power-Up per board (they can be found on the right sidebar) and I chose the Calendar one. 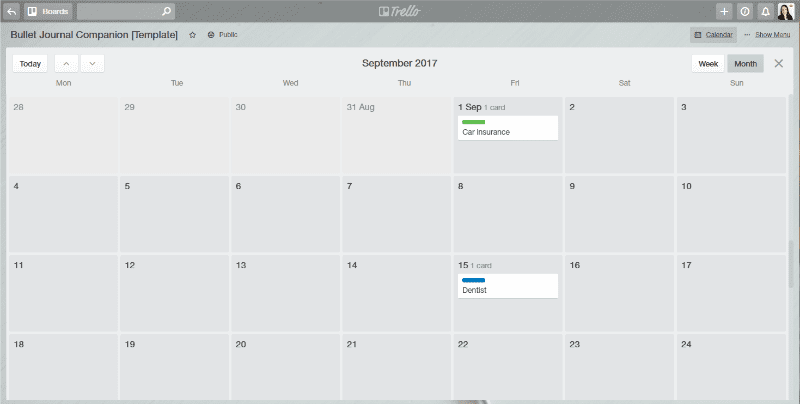 This feature is such a game changer because it lets you see all the cards with due dates in a monthly or weekly calendar format and you can move them around having the dates automatically updated. 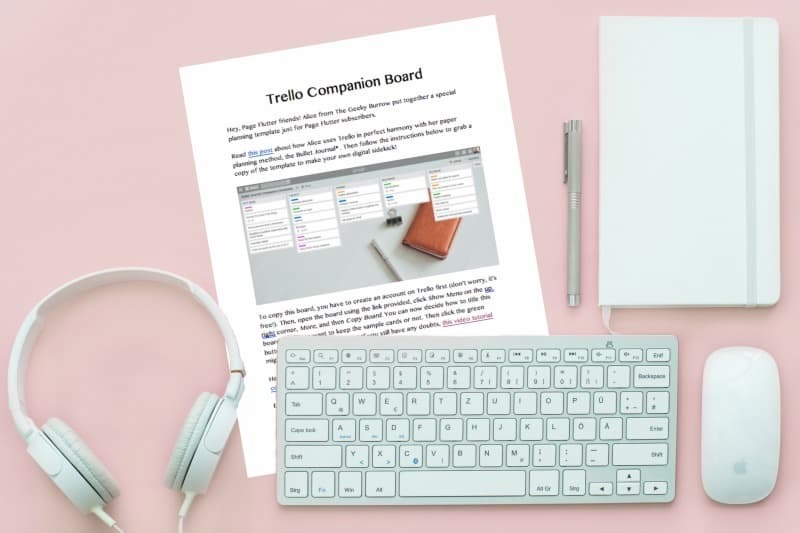 This is great also if you’re using Trello for your editorial calendar or to create a digital version of the study plan I shared a couple of months ago. 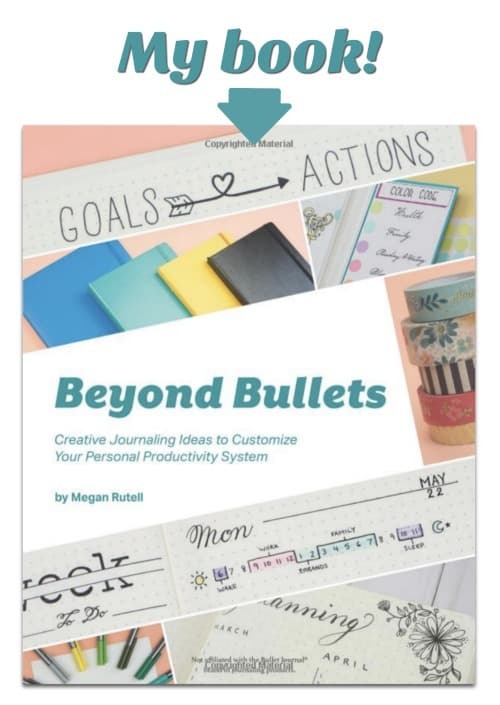 This is all techy and cool, but how does Trello work along with my Bullet Journal? Well, it’s pretty simple. At the beginning of each month, I’ll visit my board and update all the things that I managed to get done, moving the cards to the Done list. Then I’ll move the other ones around in order to have an overview of the next month. I love to have this sort of digital backup because my journal doesn’t come with me everywhere since it’s an A5 Leuchtturm and I don’t like to carry a heavy bag. Also, when I’m on the go, I prefer to jot down things on my smartphone (I use the Google Keep app) and check out Google Calendar for appointments and events. The Trello board is also great to keep myself focused on my own goals. Having the 2017 Goals list on the extreme left means it’s the first one I see every time I open the board from my smartphone app, a great way to be constantly reminded of the things I want to accomplish. I hope this post has inspired you in some way, even if you’re a 100% paper person. Would you like to give Trello a try but you don’t know where to start? Well, this is your lucky day! I made this exact same board available to copy for all Page Flutter subscribers. Megan added the instructions and links to the Page Flutter Vault so you can access them anytime you want. Don’t have a password to the Vault yet? Subscribe below to get one delivered to your inbox.